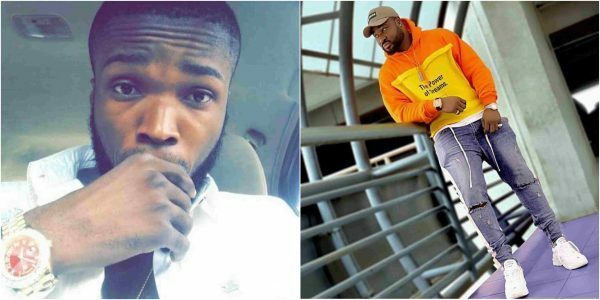 A former PR Manager to singer Harrysong, Anusiobi Frank, has called him out after his depression story and he believed it was just a publicity stunt. Frank, who took to his Facebook page to narrate the unpleasant experience he had with Harrysong while working with him, advised him to turn a new leaf and apologize to the people he has wronged if he actually seeks peace in his life. It’s painful seeing you pass through depression at this moment but Honestly, if truth is to be told you really need to beg for forgiveness from a lot of people, for me i have forgiven you the long time ago but the pains you cost me will always stick to my head. My eight years of being with you and working for you is no good thing to tell about, you made me change towards so many people when they come for help because your greed and stingy lifestyle has destroyed everyone around you and you know it’s true those who just started with you might not want to tell you the truth cause they are in one way stealing from you. I promise never to talk about our story to the public but if i cant advice you privately then i have to do it publicly, what prayer do you think those who you hurt will be praying for you, do you think people who knew about how i used my money in pushing the brand back then are happy with you or maybe you have forgotten how i empted my account in 2012 for you just because i wanted the best for you, my story with you is like a long note writing with tears. bro just pull your pride and apologize to those you have hurt, why did you think all the Good and successful people that suffered to make the harrysong brand strong are no longer with you, where is kayce oguejiofor your manager back then. This man dedicated 10years of his time, money and Strength for you, where is dr amir, chimbalin, ebisco, Dj benimaun and others, this people contributed in your career and they were kicked out immediately u became bigger, even when kayce delgado left you he was still available to help you make your kingmaker concert strong, he was same guy that begged me to bring back my strength on reggae blues that made it go viral after my plan was used but still u never thought of thinking back to your mistake to appologise when you knew your problems.